Diogenes' Middle Finger: There He Goes Again! Awarding a Medal of Freedom to Elvis. That’s Racist, You Know! There He Goes Again! Awarding a Medal of Freedom to Elvis. That’s Racist, You Know! Okay, for sure in this day and age the sense that everything anyone ever does could qualify as racist under some leftist's definition somewhere, and when the person doing the doing is Donald Trump it’s not complicated to go rummaging through the racist thresholds and find one that fits. He’s Donald Trump. He did something. Ergo, it’s racist. We’ll work backwards from there and retrofit the premise into some sort of rationale that will work, or we’ll just manufacture a new one. Hey. Why not? It’s not like there’s a limit. Apparently, according to one music critic (i.e. failed musician) at the Washington Post, Elvis’s racial crime was to do well performing the type of music you might associate with black artists. So we’re kinda sorta talking about “cultural appropriation,” but there’s more to it than that because the charge is also that black artists should have enjoyed the acclaim Elvis experienced, but he went and hogged it from them. And here Elvis thought he was just trying to sell records and pack concert halls. He had no idea he was laying down some sort of line of racial demarcation. "Yes, this overture looks ugly to anyone who feels antagonism and regression radiating from Trump’s promise to “make America great again.” And yes, it all feels especially absurd to members of the hip-hop generation — its eldest citizens now past middle-age — who learned how to feel about the legacy of Presley the moment they first heard Public Enemy’s “Fight the Power” blasting a hole through our national mood in the summer of 1989. Yes, Trump desperately wants to look like a real president — Reagan, Richard Nixon, whomever. Yes, he knows all about that iconic bizarro snapshot of Nixon and Presley shaking hands in the Oval Office, and yes, Trump surely wishes he could have been the president who famously cheesed with the King instead of being the president who nervously accepted a lopsided hug from Kanye West. Yes, it’s all a bit pathetic." 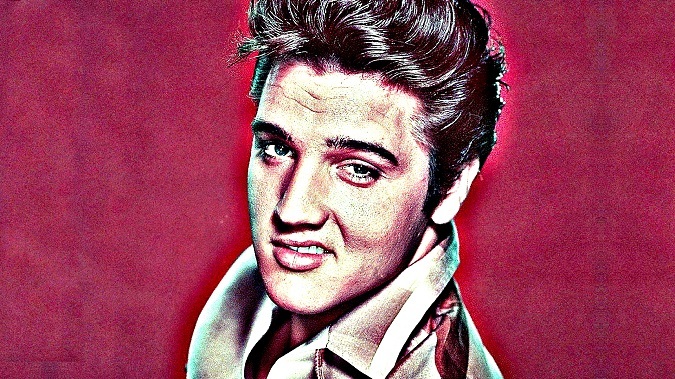 To those who identify with hip-hop as opposed to rock and roll, Elvis is nothing and no one. The writer clearly goes further than that, suggesting that Elvis’s acclaim was actually an affront to black people because he was similar in style to the great black artists and really no better than they were, and more widely loved because he was white. (yeah, you knew that was coming). Remember: If Trump does something, it has to be racist. You can always go back and fill in the rationale for that belief later. Anything will do. Especially when you write for the Washington Post.